Have you ever seen the date of a post in search results? Yes, that’s also done with Structured Data. Here is how it works. The first thing you should do is to make sure that the date of the current post is visible to the user. This should be an easy one because most themes are showing the dates on posts. If not there is normally an option in the theme settings that allow you to show the dates to the end user. 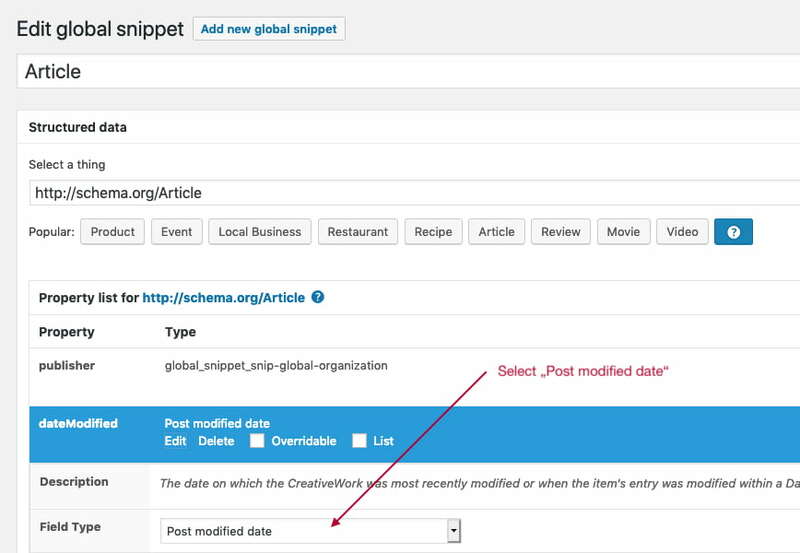 Almost every child schema from CreativeWork supports the datePublished and dateModified properties. For example the Article, NewsArticle, Blog, etc.. All you need to do is to add those properties to your schema.